Check these frequently asked questions to get your answers about Hess Toy Trucks fast! Q: Where can I buy a Hess Toy Truck? A: The current year's Hess Toy Trucks are available exclusively online, here at our website, until they sell out. In 2018 there were three different product releases, each with limited availability, and each has sold out. There will not be any inventory replenishment. Q: Can I purchase a Hess Toy Truck by phone? A: Telephone orders are only accepted for the current year's Holiday Hess Toy Truck offered while supplies last, by calling 1-844-HESSTOY (1-844-437-7869) for a $5.00 service fee added to each order placed by phone. Q: Why do you charge a service fee for telephone orders? A: The all new and improved HessToyTruck.com offers an extremely easy, convenient, and secure way to place an order online – one that is enjoyed by the vast majority of Hess Toy Truck customers. In order to provide order taking staff for those customers that prefer to place an order by phone, we need to charge a service fee. Q: How do I sign up for alerts to be notified when a Hess Toy Truck goes on sale? A: You can sign up for mobile text alerts by texting the word HESS to 437788 (message and data rates may apply) or by following us on social media: Facebook (be sure to Like AND Follow!) and Instagram @HessToyTruck. You can also sign up for email alerts however, please be aware that we cannot control how long it may take for an email to reach you. We have been experiencing very slow delivery, sometimes blocked delivery, on emails to certain domains. If you still want to sign up for email alerts, go to HessToyTruck.com and scroll to the bottom of the page. In the black footer bar you’ll see a prompt to “Sign up for Hess Toy Truck Alerts” with a box below it. Simply enter your email address and click the “Sign Up” button. Q: What is a Collector's Edition Toy Truck? A: From time to time, Hess releases special edition items in extremely limited quantities, often to commemorate special company or toy program anniversaries. This year a Collector’s Edition toy was offered to mark the 85th anniversary of the founding of Hess Corporation and has sold out. Q: What is a Mini Toy Truck? A: For information on the history of the Mini program, first released in 1998, visit us at HessToyTruck.com/mini. Q: Is there a limit on how many toys I can buy? A: For each product offered, there is a purchase limit of 12 Toy Trucks per customer or address. Q: How many toy trucks are made each year? A: The quantity produced of any Hess item remains a highly guarded secret. Q: Why don’t you make more trucks? A: Each year we try to anticipate demand and change our production numbers accordingly. This is an ongoing effort. The best way to ensure you can get a truck is to sign up for alerts to find out when trucks are available and then shop early! Q: Does Hess sell trucks to wholesalers for resale? A: No. Hess Toy Trucks are sold directly to the consumer by Hess. We do not sell through third parties and our terms of purchase prohibit individuals from reselling our toys for any commercial purpose. You can see that policy here. Q: How can I become a Hess Toy Truck Dealer or Retailer? A: Hess Toy Trucks are sold directly to the consumer exclusively by Hess. We do not sell through third parties and our terms of purchase prohibit individuals from reselling our toys for any commercial purpose. You can see that policy here. Q: Why can’t I buy trucks from prior years? A: Our toys sell out every year. You can use our website to browse the trucks we have produced in years past. Q: How can I resell Hess Toy Trucks that I have in my collection? A: Hess does not get involved in the aftermarket for our toys, either for those looking to purchase or sell older toys. Please make sure you review our terms of purchase which prohibit individuals from reselling our toys for commercial purposes. Q: Where is the closest Hess gas station? Why can’t I buy my toys at Hess gas stations? A: In May, 2014, Hess Corporation announced the sale of its retail sites to Marathon Petroleum. All of the former Hess sites have been rebranded and operate under different ownership which we have no affiliation with. Q: Do I need an account to order from HessToyTruck.com? A: No, you do not need an account to place an order. HessToyTruck.com offers an easy “Guest Checkout” that does not require a login or password. Q: If I have an account, can I use the Guest Checkout? A: Yes, if you have an account registered with us, you can still check out as a guest, but you will not be able to select from your saved addresses. Q: What are the benefits of registering for an account? A: Account holders enjoy quicker check-outs by using saved addresses, and can easily view their order histories and check on the status of existing orders simply by logging into their accounts. A: Easy! Click here and complete the required fields. Q: I’m trying to create an account but I’m getting a message indicating an account already exists. I don’t recall creating one? A: It is possible that you or another family member did register an account under the email address you are using and forgotten, or, if you placed a telephone order in the past, an account was automatically registered for you. You can simply follow the steps to reset the password and you’re all set. Q: I have a new email address, is there a way I can transfer my order history to a new account with my new email address? A: No, the email address associated with the order remains a permanent part of the order and cannot be transferred into a new account. Q: It looks like I have multiple accounts under different emails. Is there a way I can consolidate everything into one account? Q: Can I save my credit card information on my account? A: No, we do not save or store credit card information. Q: Why doesn’t my password work? If this is the first time you are trying to login to the new HessToyTruck.com, you’ll need to reset your password. To do this, follow the steps shown in the next FAQ. If you’re sure you have an account registered under the email address you’re entering, simply follow the steps below to reset your password. Q: How do I reset or change my password? A: Resetting or changing your password is an easy 4-step process. Click here to be taken to the login page on HessToyTruck.com. Once there, click on “forgot your password?” at the bottom of the page. At the next screen, type in the email address associated with your account, and click “reset password”. We will email a link within 5 minutes to the email address you entered (if an account exists). Click on the email link – you’ll be taken to the password reset page, enter a password – it must follow the parameters listed above the entry field - then enter it again to confirm. If successful, you’ll be taken to the “Sign In” screen – you’re all set! Q: I followed all the steps to reset my password but didn’t receive an email with the link, now what? First, check your spam or junk mail folders, the email may have gone there. You may not have an account registered under the email address you entered. You can easily check this by going to “Create an Account” and following the steps to register an account. If one does exist, you’ll get an error message indicating an account already. Or, you can email us at help@hesstoytruck.com and we can check it for you. If the problem persists, your email provider may be preventing the email from getting through. If it is preventing you from checking out you can simply check out as a guest. Checking out as a guest does not require a password. Q: I tried a bunch of times to reset my password, I clicked on the link to one of the emails I got, but I get an error message indicating it is invalid? A: If you received more than one email with a link, be sure and click on the most recent one you received (check the timestamp on the email). Subsequent requests for password reset link invalidates all prior versions. Q: Can you just change my password for me if I call and tell you what I want it to be? A: No, due to security/privacy concerns, we cannot set your password for you. Q: Can you tell me what my password is? A: No, passwords are encrypted for security purposes, we have no access to them. Q: Is the toy truck safe for children to play with? A: Each toy truck is backed by Hess Corporation’s commitment to extremely high standards of quality and safety. We systematically subject our trucks to rigorous quality, safety, and durability tests to meet American Society for Testing and Materials International F963 standards for children’s products. Additionally, we test each paint delivery coming into our manufacturing facilities to ensure they are lead free. We are proud of our history of providing safe toys that children and collectors can enjoy for many years. Due to small parts, we do not recommend the Hess Toy Truck be given to children under 3 years old. Q: Why didn’t my truck batteries last longer? A: We provide excellent quality Energizer® batteries free with your purchase. For maximum life of those batteries we recommend turning off the toy when you are not using it to avoid battery drain. Q: If I plan to store my toy truck and not play with it, should I remove the batteries inside the toy? A: Yes, we recommend removing batteries from your toy truck if you do not intend to play with the toy. Removing the batteries will avoid battery draining and corrosion, both of which can take place if the batteries are left inside the toy and unused for a long period of time. Q: Will you accept orders by phone? A: We accept MasterCard, Visa, Amex or Discover Card for online and phone orders. We also accept PayPal as payment for online orders and Venmo for orders placed on a mobile device. We do not accept any checks or money orders by mail. Q: What if I don’t have a credit card or PayPal Account? Will you accept checks or money orders? A: No, we can only accept MasterCard, Visa, Amex, or Discover Card. We also accept PayPal as payment for online orders. Q: Can I change an order after I submit it? A: No. All orders placed are final at the time of submission. Ensure you have the proper quantity and shipping address before confirming your order. Q: What if I make a mistake entering my order? A: Once an order is submitted, it cannot be changed in any way nor canceled. Please triple check the information before submitting your order (and before you check the box which acknowledges that you have confirmed the information is accurate). If you made an error with the address you provided, your order will ship to the address entered. If it is returned to us you will be credited less applicable return fees. A: You will receive multiple emails, first a confirmation email and then a shipped status email. If you do not receive these emails, please double check whether you are searching the email you used to place the order as you may have inadvertently used a different email address to purchase. Also please check your junk/spam folders. Alternatively you may have mistyped your email address. We strongly recommend creating an account so you can always see your order history and track your order progress in the Orders section. Q: Why don’t I see my order in the Orders section of my account? A: Your order history is available if you create an account. The history is tied to the email address you used to set up that account. Orders placed when logged into your account or placed as a Guest using that same email address will appear in the Orders section of your account. If an order is missing it's likely because you used a different email address when you checked out as a Guest. Q: When I enter in my email address to create an account, I get a message indicating an account already exists but I don’t remember creating one. What do I do? A: First, check the email address to make sure it is correct. If it is, click on “forgot password” and follow the instructions in the email to reset your password. Q: Can I pre-order this year’s truck? A: No, we will not be offering pre-orders this year. A: We ship to most domestic destinations plus Hawaii, Alaska and Puerto Rico. We do not ship to international locations. A: Yes, we can ship to Post Office Boxes only using the free standard shipping option, via FedEx Smart Post. Expedited shipping options cannot deliver to Post Office Boxes. Q: Why don’t you ship to Canada? A: We wish we could send toy trucks to Canada but the issue is complicated by customs, and certain Canadian requirements which prevent us from doing so at this time. Q: Will my order be forwarded if I have a forwarding address filed with my local Post Office? A: No. Smart Post services do not include forwarding to an alternate address. Please be sure to ship your order to the address it can be received Undeliverable packages are normally sent to a centralized “dead letter” post office location and may not be returned to us. Q: What is FedEx Smart Post you offer as free standard shipping? A: Standard Free Shipping from Hess ships using FedEx Smart Post. Toy Trucks are picked up from our warehouse for shipment by FedEx but instead of being carried by FedEx directly to your door, it is turned over to your local Post Office for final delivery by your mail carrier. This is the most economical way to keep product costs down with a traceable shipping method. Be sure to ship to the address that your mail is delivered to. A: Orders are typically shipped out in less than 48 hours (excluding holidays and weekends) but may take longer during our initial launch periods. Free standard shipping will be made through FedEx Smart Post service. Delivery time frames are highly dependent on where you live, especially extremely rural areas, and the states of Alaska and Hawaii. If you need your order sooner we highly recommend you take advantage of the expedited shipping options available at additional costs. For rough estimations, see below. Q: Can I expedite shipping? A: Yes, if you choose any of our upgraded shipping options we can ship the same day as you ordered if your order is received by 1:00 p.m. EDT (excluding holidays and weekends). Once an order ships, you will receive an email notification confirming it has shipped along with the details of the order and tracking information. Q: How many shipping options do you offer? Q: Why am I being advised to upgrade my shipping? A: Due to the high value of the purchase and increasing incidents of “porch piracy” (package theft from its delivered location) we strongly encourage customers purchasing 6 or more toys to upgrade their shipping method to one of the Signature delivery services. Q: What happens if I decline to upgrade my shipping when prompted? A: Customers that decline to upgrade to a signature required shipping method when prompted accept responsibility for any lost or stolen packages that FedEx or the Post Office has marked as successfully delivered. Q: I received a shipped status email, but why does my tracking number have no information on my package delivery? A: Tracking number details are generated after FedEx initially checks packages into their local Hub location which may take up to 72 business hours after they have been picked up from our warehouse. Please check again in a day or two. If no details exist after 72 business hours please call us at 1-844-HESS-TOY (1-844-437-7869). Q: Where is my order? How do I track my order? A: Please check your email account for the shipping confirmation email we sent you. There will be a link there to your tracking number so you can easily monitor your package’s progress. If you did not receive that email, please check your Junk/Spam folder as well as other email inboxes you may have in case you inadvertently used a different email address than you think. Also, you can find the order details and tracking information in your Orders section of the website if you logged in when you placed your order. 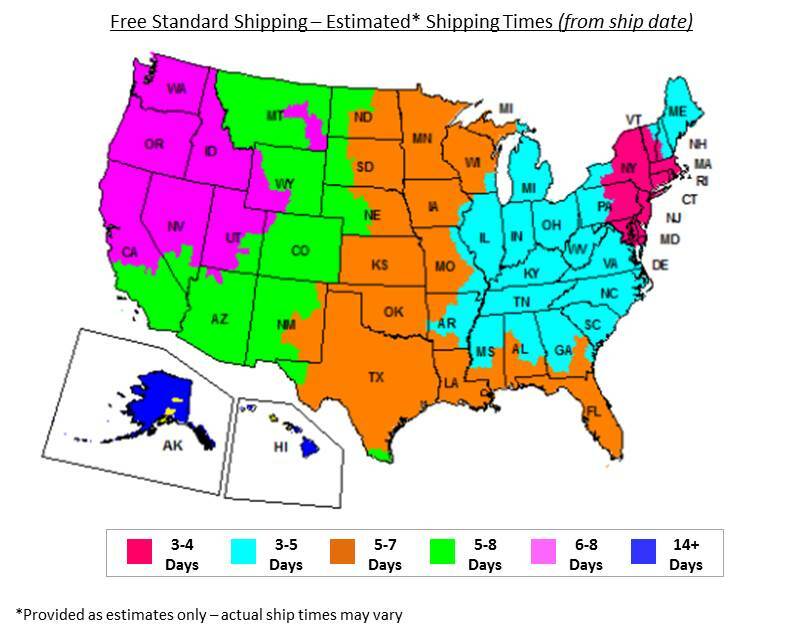 Note: Tracking numbers may take up to 48 hours to show up in the FedEx tracking system. Q: What if my tracking number has no information on my package? A: Tracking numbers may take up to 48 hours to show up in FedEx’s tracking system. Please check again in a day or two. If no details exist after 72 hours, most likely FedEx has lost the package. In this event, please call us at 1-844-HESS-TOY (1-844-437-7869) so we can generate a replacement order at no cost to you. Q: What if my tracking information shows that my package was delivered but I never received it? Call 1-844-HESS-TOY (1-844-437-7869). We may be able to replace your package if you did not decline a recommended Signature delivery service upgrade. Q: Can I return or exchange a Toy Truck purchased online? A: Returns and exchanges are allowable only for Toy Trucks purchased online from our website (hesstoytruck.com) or from our telephone order system (1-844-HESSTOY). Click here for our Return and Exchange Policy. Q: What is the deadline for making a return or exchange? A: Click here for our Return and Exchange Policy. Q: How do I return or exchange a Toy Truck? A: Sign-in to your Hess Toy Truck account with your email address and password to access your order history. (Note: If you checked out as a guest, click here and enter the email address associated with your order, then click “Reset Password”. This action will send you an email with a link you must click to create a password and turn your guest order into a logged in account order. Once complete, log in to access your order history.) Once you’ve identified the order you wish to return or exchange, click “Return Items?” and proceed by completing and submitting the form. Once the form is submitted you will receive 2 emails: 1 from Hess Toy Truck confirming your request was submitted and 1 from FedEx with your print-at-home return shipping label. Return the item back to us and once it is received at our warehouse and inspected, we will process your request. Q: Will I be charged shipping for my return or exchange? A: There is no charge to exchange a damaged or defective toy, but all Returns for refund will incur a $9.95 shipping and processing fee, which will be deducted from your total refund. These Frequently Asked Questions were updated on December 12, 2018.